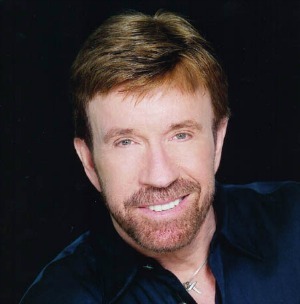 Chuck Norris is an international television and film star and has starred in 23 motion pictures such as Delta Force, Code of Silence and Missing in Action, just to name a few. His television series “Walker, Texas Ranger”, ran for 81/2 years. 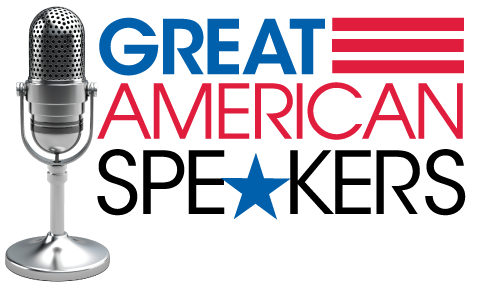 With 203 episodes, is the most successful Saturday night series on CBS since “Gunsmoke”. Internationally, it is seen in more than 80 countries worldwide with an average of 1 billion viewers daily. Norris first made his mark as a renowned teacher of martial arts and was a six-time undefeated World Professional Middle Weight Karate Champion. He is the first man from the Western Hemisphere in the over 4,500 year tradition of Tae Kwon Do to be awarded an eighth degree Black Belt Grand Master ranking. By the 1970’s he had revolutionized Martial Arts in the U.S. and created his own system called Chun Kuk Do (meaning “The Universal Way”) and is the Founder and Chairman of the United Fighting Arts Federation. Modeling a life of health and fitness for more than five decades, Norris has promoted the importance of exercise by his endorsement of the Total Gym, a popular exercise machine that is sold internationally in more than 80 countries. Most recently he launched a syndicated weekly health and fitness column called C-Force to help inspire and improve the health and fitness of his readers by taking a holistic view of health-that wellness is obtained and maintained by treating ourselves as an integrated whole, in mind, body and spirit. A genuine internet phenomenon, Norris has become the subject of countless Paul Bunyan-type fictional “facts” of his exploits, submitted by fans. There are currently more than a million such “facts” floating around the internet. In November of 2009, he came out with The Official Chuck Norris Fact Book, focusing on 101 of his favorite facts and stories. A very popular public speaker, Norris is a strong supporter of the NRA, supporting our 2nd amendment rights and was named Honorary Chairman of the NRA’s, “Trigger the Vote” campaign and has served as spokesperson for agencies such as The United Way and The Veterans Administration. Norris, an Air Force veteran, was named an Honorary Member of the Marine Corps in 2007, which was an incredible honor demonstrating the appreciation the Corps felt for his two “hand shake” tours of Iraq within a one year period. A man of deep religious convictions and a giving spirit, Chuck will say that next to his family, his most rewarding accomplishment is the creation in 1992 of his KICKSTART KIDS Foundation. His wife, Gena, is also a leading force in this endeavor as the Foundations Co-Chairman. With the purpose of building strong moral character in our youth through martial arts training, the Foundation has become the most important mission of Chuck and Gena’s lives, following the development and well-being of their family. KICKSTART KIDS now works with over 6,500 at-risk youth on a daily basis as part of the daily school curriculum in middle schools and since its inception; the program has graduated almost 70,000 youngsters. Their goal is to expand the program all over Texas and eventually nationwide. "His charge was simple, to the point, and an always much needed reminder basing it off of Proverbs 19:21, trust God to direct your steps."